Kellogg uses a pouch instead of a traditional bag-in-box format. For the first time, Kellogg is using post-consumer resin in a retail pouch; Kellogg is implementing a reusable pouch for its Kashi cereal from Envision Plastics. 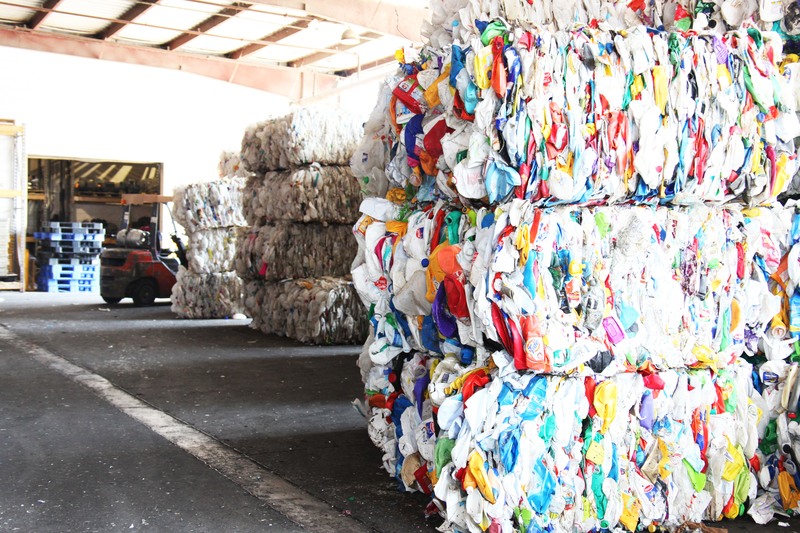 The EcoPrime™ pouch is the only FDA-approved, food-grade, recycled high-density polyethylene plastic (HDPE) resin on the market in North America. The pouch is reusable, uses less material than the traditional bag-in-box and is a first-of-its-kind packaging that contains at least 15% recycled material including the first food-safe, post consumer HDPE plastic available. An added consumer perk is that after the cereal is gone, the pouch can be used as a freezer bag for leftovers or to store dry goods because the pouch has a zipper. Kellogg’s reusable Kashi cereal pouch contains 15% EcoPrime food grade recycled HDPE Resin. The main benefit for Kellogg in using EcoPrime™ is the reduction in the use of virgin HDPE. In addition, it ultimately reduces the amount of energy required to obtain virgin petroleum material from the earth. The pouch uses material that was reclaimed from the waste stream, while also providing the barrier needed to protect the food. Kellogg is currently using EcoPrime™ on a variety of Kashi cereals and is evaluating opportunities to expand their use of post-consumer HDPE. Food and Beverage Packaging asked Kellogg for more information about the new pouch and the motivation behind the decision. Food and Beverage Packaging: Has Kellogg/Kashi used post-consumer recycled material in the production of pouches before? Kellogg: No, the new bag for GOLEAN Crisp!™ Cinnamon Crumble and Toasted Berry Crumble cereals is the first of its kind for Kashi as it’s made with post-consumer HDPE—a plastic made with materials reclaimed from the waste stream—rather than traditional HDPE. FBP: Why did Kellogg/Kashi want to use post-consumer recycled plastic in their pouches? Kellogg: More than one third of shoppers claim they want environmental packaging, and Kashi has cared about making foods with the health of people and planet in mind for more than 25 years. This new cereal bag offers an environmental benefit and allows us to deliver our foods safely to the consumer. Kashi retailers and consumers recognize and appreciate that commitment. FBP: How did you start working with Envision Plastics? Kellogg: Kashi is always seeking ways to improve the health of people and the planet. Through our supplier, we identified the opportunity to use post-consumer HDPE that’s safe for use in a flexible food bag. FBP: Which Kellogg’s brands will be using the pouches? 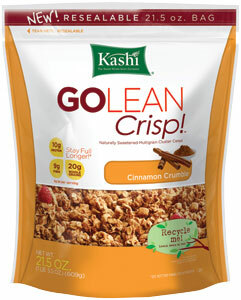 Kellogg: We used post-consumer HDPE for a limited run of Kashi® GOLEAN Crisp! Cinnamon Crumble and Toasted Berry Crumble cereals in conjunction with Earth Day. FBP: Why only a limited run? Kellogg: We’re evaluating opportunities to use the new bags for other Kashi foods, as well as for our other brands, based on the feedback of our customers and retailers.